Watch full One Piece Season 15 Episode 9 English Dubbed full HD online. One Piece Episode 525 English Dubbed online for free in HD. Sanji uses his Bien Cuit Grill Shot technique to burn a tentacle and Zoro cuts off one of his arms, allowing Luffy to use the Gum-Gum Elephant Gun technique on the Kraken – defeating it. However, Luffy, Zoro and Sanji gets sucked into a vortex, dragging the Thousand Sunny with it as it descends further into the sea. When Brook discovers that Caribou is on board, Franky confines him in a barrel. Nami tells the others that they entered a zone containing volcanic eruptions, and if it erupts, the Straw Hats will perish. Franky uses the Coup de Burst to travel farther into the ocean. 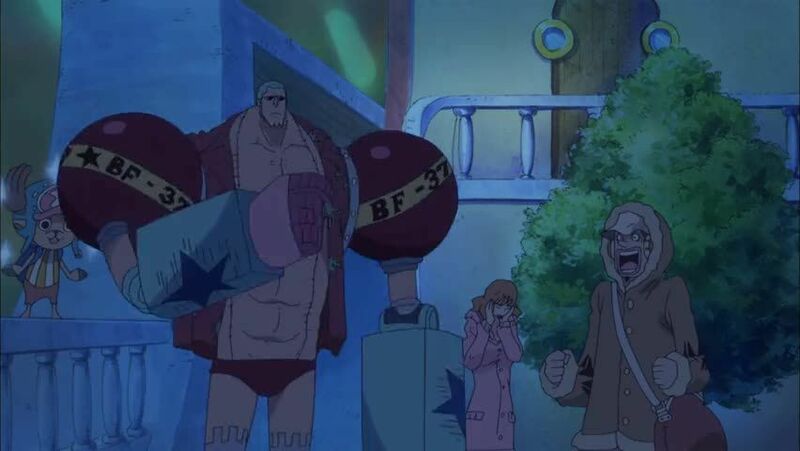 Franky realizes that with each Coup de Burst, the crew has lost a large amount of air. As they are attacked by Ankoro, an anglerfish, a sea bonze named Wadatsumi hits Ankoro. Just as the crew thinks they are saved, a ship known as the Flying Dutchman appears, much to their horror.